RENO, Nevada, February 28, 2013 (ENS) – Two Nevada environmental groups have filed legal action contesting U.S. government approval of the Mount Hope molybdenum mine, saying it would remove an entire mountain and replace it with a giant open pit mine. The Great Basin Resource Watch and the Western Shoshone Defense Project filed a motion for a preliminary injunction against the mine in federal court in Reno on February 20. 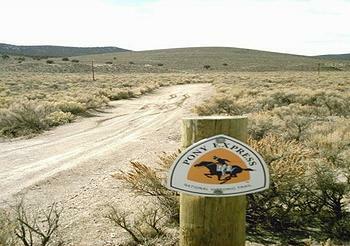 This legal action follows their filing of a February 15 complaint challenging the decisions of the U.S. Department of the Interior and Bureau of Land Management in approving the Mount Hope Project in central Nevada, 23 miles north of the town of Eureka. “The Project will have immediate, irreparable, and permanent impacts to the local ranching and farming communities and families which have lived there since the 1860s and to the critical environmental, historical, cultural and wildlife resources that will be outright eliminated or significantly degraded by the Project,” the motion states. 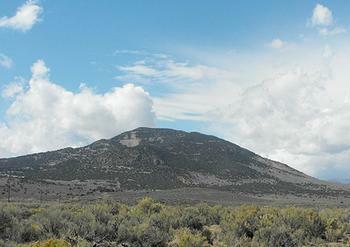 The Bureau of Land Management signed the Record of Decision for Eureka Moly LLC’s Mount Hope mine in central Nevada on November 16, 2012. Eureka Moly is wholly owned by General Moly, a publicly traded company that operates two world-class molybdenum projects in central Nevada. The Mt. Hope project is the company’s flagship project, containing some 1.3 billion pounds of proven and probable molybdenum reserves. It is considered one of the world’s largest and highest grade molybdenum deposits. With its high melting point, molybdenum is used to make high-grade and construction-grade steel alloys for building, manufacturing, the military and in space exploration. In their legal challenge to the mine, the groups say the Bureau of Land Management has failed to uphold an Executive Order protecting springs and waterholes on public land in the West issued 87 years ago by President Calvin Coolidge in 1926. The groups object to the federal government’s “failure to protect Federal Reserved Water Rights and Withdrawn Lands, unauthorized disposal of federal property in these waters and lands, and violation of Public Water Reserve No. 107. “The ground water withdrawals associated with the Project are predicted to cause many springs and/or waterholes to be eliminated or have substantially reduced flows. The BLM must ensure that these springs and/or waterholes are not impaired by the Project, particularly the dewatering. “BLM’s approval of dewatering, and other activities associated with the Project, which could dry up or materially reduce springs and waterholes protected by PWR 107 is not in compliance with these requirements. BLM cannot dispose of federal property such as PWR 107 reserved water rights without congressional authorization, which authorization has not occurred here,” the groups state in their complaint to the court. In addition, the groups allege that in approving the mine, the BLM has violated the National Environmental Policy Act and the Federal Land Policy Management Act. The project’s operator, Eureka Moly LLC, is a wholly-owned subsidiary of General Moly, a U.S.-based molybdenum mineral development, exploration and mining company listed on the New York and Toronto stock exchanges under the symbol GMO. The groups say an open pit 2,600 feet deep and roughly 1.2 miles in diameter will be created to become a pit lake more than 1,200 feet deep. “The project will effectively remove Mt. Hope and the surrounding forest. Those 8,318 acres would be replaced with the open pit, waste rock dumps and tailings impoundments, all of which will be permanent aspects of the landscape,” the groups state in douments filed in court. The waste rock is “non-reactive” and there will be “no pit dewatering discharge,” the company said in a 2010 site presentation. No mercury will be used and the mine will produce, “good quality post-mining pit lake water.” The mining process does not rely on cyanide or other toxic chemicals, the company says. The groups object that under the National Environmental Policy Act, the public has a right to review and comment on such development projects on public lands before they are approved, but that did not happen in the case of the Mount Hope mine. “The mitigation ‘treatment plan’ for impacts to historical and cultural resources, as admitted by BLM, was also not analyzed in the draft Environmental Impact Statement or final EIS, nor subject to public review during the NEPA process,” the groups state in their filing. “It was impossible for the public to review and comment upon this plan, as it has a right to do under NEPA, when it was only produced by the company after the FEIS was completed,” the groups complain. “NEPA requires that BLM review, and the public have the opportunity to review and comment, on all material aspects of the Project and its impacts before decisions are made and before actions are taken, including before issuance of the FEIS. That has not occurred in this case,” they state. John Hadder, director of Great Basin Resource Watch, said the State BLM Director had refused to undertake a review of the EIS approval that his group had petitioned for in December. “The BLM EIS process included extensive public and cooperating agency input” such as “the National Park Service, the EPA, Nevada Department of Wildlife, and the County of Eureka,” Spenser said. “We’re confident that BLM did its job and complied with statutes and rules and believe that BLM’s EIS for the Mt. Hope Project is very well-done and extremely defensible,” he said. The Mt. Hope project is a joint venture between General Moly, which holds 80 percent ownership, and POSCO, one of the world’s largest steel producers, based in South Korea, which holds 20 percent ownership. Financing for the project is expected to come from China. The company is working with the China Development Bank and the Sichuan Hanlong (Group) Co., Ltd to secure loans for the Mount Hope Project.